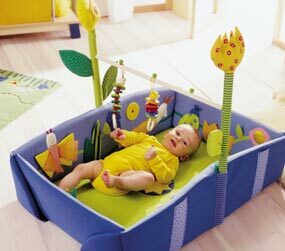 I came across this play area for baby while researching playmats for our baby. 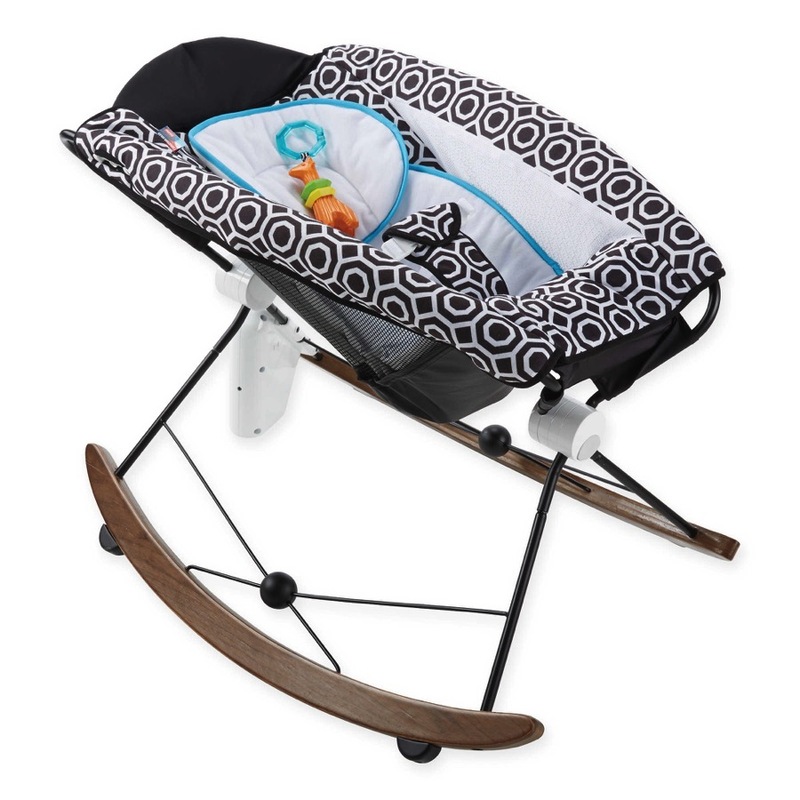 It is nice because there are walls on it so that the baby can’t get away if you are off doing the dishes PLUS it has an attachment that allows the whole thing to rock. Fabulous!! On the meadow things rustle, squeak and move about. Babies love it sand the sounds stimulate their sensory awareness. 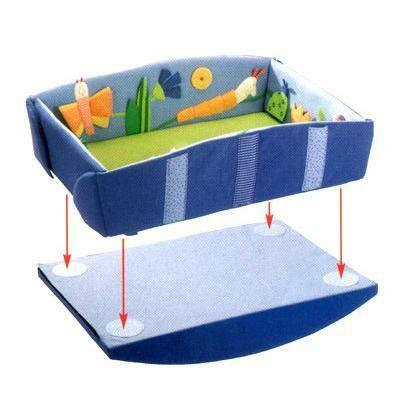 The lateral sides can be flapped up so that the playing rug changes into a little bed or a nappy changer. The playing gum allows little ones to discover even more! A cloth may be placed over as protection against mosquitos. Squeaker, rustling and glitterfoil pockets included. Material: base and sides of soft solid foam. Removable cover of machine-washable cotton/ polyester. Measurements: 120 x 105 cm. Dream meadow by Haba 159.99 U.S.
Dream Meadow see saw Block 79.99 U.S.